Lineal heavyweight champion Tyson Fury has confirmed he plans on donating his entire purse from his draw with WBC heavyweight champion Deontay Wilder on Saturday night. The 30-year-old ‘Gypsy King’ is expected to receive £8 million for the 12-round championship bout. “I’m going to give it to the poor and I’m going to build homes for the homeless,” Fury said to the Irish Mirror. 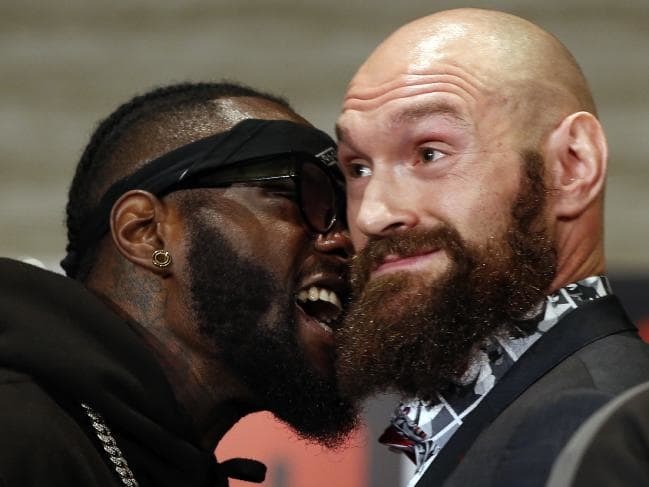 Fury was denied victory when Wilder, 33, dropped him in the twelfth and final round after previously being on the deck in the ninth. It was enough to even up the ledger on one of the judge’s card, while the other two judges were split on who they had winning. Fury spent two-and-a-half yours out of the ring after dethroning former heavyweight champion Wladimir Klitschko in 2015. During that time, he suffered drug and alcohol abuse as well as bouts of depression. Now the 6-foot-9 Englishman says he wants to give something back. “When I go home I’m going to build some homes for the homeless and set up some funds for drug addicts and alcoholics,” he said. “I was always going to do it but being here [in California] gives me that extra push to go and do it even more. It has really opened my eyes to a lot of things and I’m leaving as a better person. Fury, a father of four with another on the way, says he wants his children to learn the value of a dollar and the hard graft required to get it. “I believe all kids should make their own money in life because if they don’t, they won’t appreciate it,” Fury said. “It’s easy to spend someone else’s money and the money I’ve earned is practically blood money. “My kids have to make their own living and make their own way in life; they won’t be living off my name or reputation because that’s too easy a route.